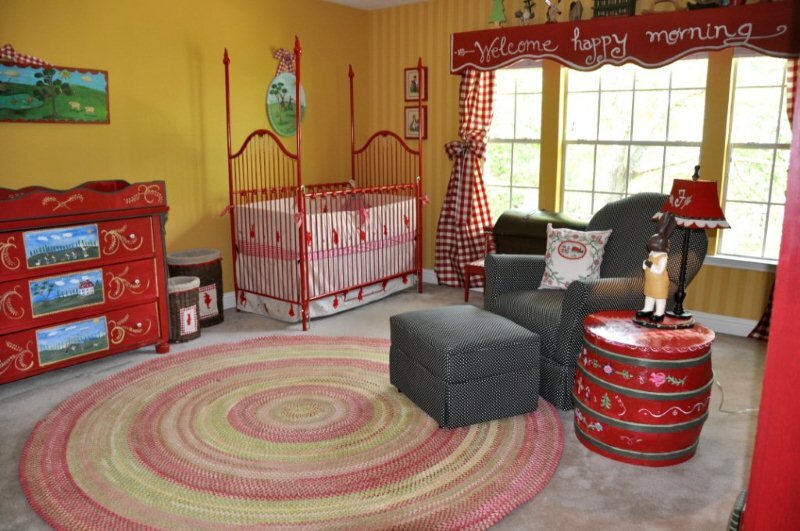 Beth emailed me the cutest photo of her daughter Evie's room. Love the fun colours! Oh man, this is seriously adorable! I love that crib, and the rest reminds me of a gypsy wagon (that's a good thing--I want a gypsy wagon for my backyard, as a kind of playhouse/sit-and-have-a-cup-of-tea place).